Food, drink and catering provided on the LSBU campus is sustainably-sourced. LSBU has attained Food for Life bronze accreditation, an independent endorsement in recognition of our efforts to improve the food served on campus. Where possible we use fresh ingredients free from harmful additives and genetic modification. Additionally, we work to support meat providers who are focused on better animal welfare in the food industry. 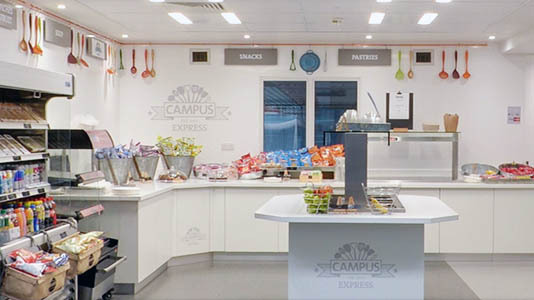 Elior UK (LSBU’s catering partner) has a dedicated purchasing policy related to the food served on our campuses. There is a stated commitment to source from a variety of local, regional and national suppliers where practicable and to support British producers. Furthermore, the policy states there is an ethos to follow continual improvement in this area. See a map of LSBU’s regional suppliers (PDF File 511 KB) and Elior's Purchasing Policy (PDF File 237 KB). LSBU achieved recertification to Fairtrade (PDF File 146 KB) in March 2017. Fairtrade supports farmers and workers to improve their lives and communities. Fairtrade ingredients are produced by small-scale farmer organisations or plantations that meet social, economic and environmental standards. The standards include protection of workers’ rights and the environment, payment of the Fairtrade Minimum Price and an additional Fairtrade Premium to invest in business or community projects. Red Tractor Certification: Red Tractor Certification ensures the way food is farmed and prepared is regularly checked by independent experts to make sure it is of a good standard. Elior UK (LSBU’s catering partner) was the first contract caterer to achieve the corporate red tractor accreditation across its business in 2011 and as such has been supplying Red Tractor certified meats to LSBU since it took on the contract in 2013. See the LSBU certificate (PDF File 196 KB). Soil Association Food For Life: The bronze certification ensures healthy, tasty and sustainable meals are the standard option at LSBU, reconnecting people with where their food comes from, teaching them how it’s grown and cooked, and championing the importance of well-sourced ingredients. See the LSBU certificate (PDF File 379 KB). 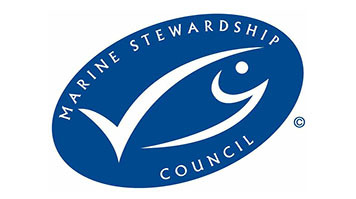 Marine Stewardship Council: All of LSBU’s catering outlets are certified to Marine Stewardship Council standards and only serve sustainably caught fish. In 2015, Elior also signed the Sustainable Fish Cities pledge – this is an ambitious campaign for towns and cities to buy, serve, eat and promote only sustainable fish – which Elior is doing on LSBU’s behalf. Good Egg Award: LSBU have been given a Good Egg Award for 2016, in recognition of our ethical provision of eggs. See the LSBU certificate (PDF File 454 KB). Higher welfare products: LSBU supports higher welfare meat and dairy products and only purchases eggs that are fully Red Lion certified and free range. Elior supply Red Tractor certified liquid milk across LSBU’s two campuses with the option for staff, students and visitors to upgrade to organic. 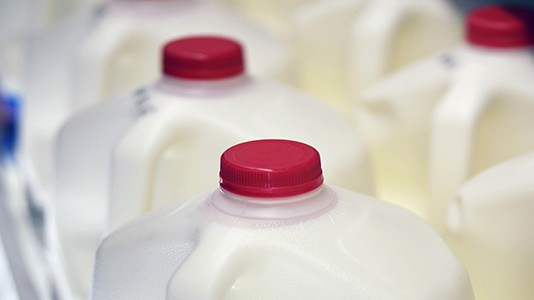 Read our liquid milk purchasing policy (PDF File 317 KB) and caged-free purchasing policy (PDF File 317 KB). Healthier Catering Commitment award: Elior UK at LSBU achieved the Healthier Catering Commitment for London in February 2017. The scheme focuses on organisations that must commit to among other things, cooking with healthier oils, minimising salt in prepared food and offering smaller portion sizes to minimise waste. Vegware: Elior has partnered with Vegware to offer a full range of sustainable catering disposables across LSBU’s catering operations. Vegware’s packaging is made from plants, not plastic, providing a low-carbon, annually renewable alternative to standard disposables. Since launching the full range in January 2017, our staff and students have helped to save 40 tonnes of carbon, 19 tonnes of virgin materials and 39 tonnes of finite resources. Cost Sector Catering award: Elior, LSBU’s catering partner was awarded the Corporate Responsibility Award at the 2017 awards. The judges singled out Elior’s work on food traceability, provenance and seasonality. Elior’s efforts to address business ethics and minimise environmental impact, directly benefits LSBU through a progressive approach towards food. Uptown Oil: All of our waste cooking oil from kitchens on campus is collected and recycled into biodiesel by local suppliers Up Town Oil. LSBU have had a long relationship with them following an initial academic research project several years ago. This supports green fuel supplies in London and is a great collaboration with industry to solve practical problems. Instead of buying bottled water, we recommend you buy a reusable water bottle and refill it using the campus water fountains. You'll save water and help reduce the thousands of tonnes of plastic waste sent to landfills every year. View the locations of water fountains (PDF File 1,259 KB) across LSBU's campus.